There are so many products sold on Amazon, yet if you take a look at them, the majority tends to hold out only one piece of the product. They tend to overlook the value of multiple unit purchases. 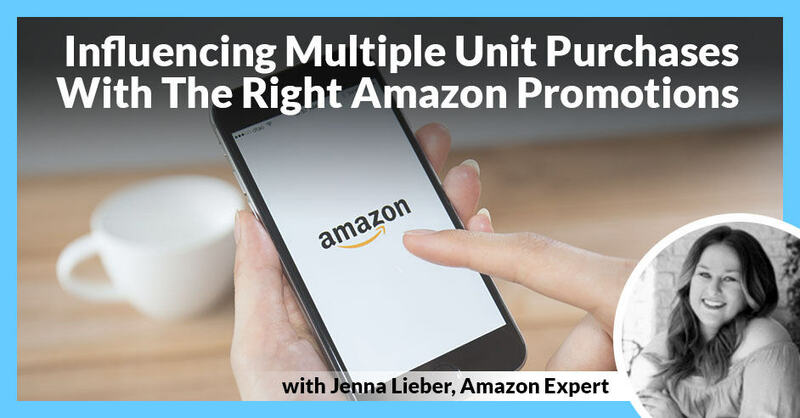 Jenna Liebner of Turnkey Product Management has seen time and time again how sellers on Amazon are not trying to influence how people purchase multiple units. Jenna goes over a number of Amazon Promotions that will help you to try to get people to buy more than one product from you in a single transaction. Not only will this influence potential customers but your sales as well. Jenna dives deep on the topic and touches on promo codes and coupon clippings, BOGO and cross-selling, and social media promos. This is Jenna from Turnkey. I’m going to be talking to you about how you can influence multiple unit purchases on Amazon. What do I mean by that? One thing I have seen consistently from sellers that are selling on Amazon is they are not trying to get people to purchase multiple units. By that, I mean they’re not trying to influence it. They’re not trying to push it. People will buy multiple units without you influencing it. The reality is we’ve seen a lot of success when it comes to trying different strategies to get those multi-unit purchases. We’re going to go over what promotions are working on Amazon and focus in on those promotions that are going to help you influence those multi-unit purchases. Are you influencing multi-unit purchases? Are you trying different things, different strategies, different promotions to try to get people to buy more than one product from you in a single transaction? If not, you definitely should be. What’s great about this is you’re able to influence your sales. You’re trying to increase those sales, and this is a great way to do it. Here at Turnkey, we are working with a bunch of different sellers. We’re working with some very advanced sellers that know the ins and outs of Amazon. They know about the different promotions. They know everything like that. We’re also working with newer sellers that maybe aren’t as aware of promotions or other things they can be doing when it comes to that. The one thing that’s consistent is I feel like the more we talk to people and the more we hear about different strategies. A lot of people are falling into using those two main promotion types, which are the regular promo codes that have been around forever, the regular promo code, or the new coupon clipping, which gives you that extra visibility with that Amazon fee. I feel consistently people are saying, “Yes, we’re using promo codes. We’re using coupon clippings,” but I don’t hear as much of people using these types of promotions we’re going to go over. Our thoughts with these promotions is we’re trying to get people to purchase from you multiple units in a single transaction. Keep that in mind as I’m talking through it. I’m going to show you how to do them. We’re going to talk about where you’ll be setting them up. What we’re trying to do when we set those up for our clients and when we’re working with our coaching clients. I’m going to talk about these promotions. Maybe you’ve already heard of them, maybe not. Maybe this will make you think of them in a new light and try to see that you’re trying to influence people to buy more from you. We’re going to talk about tiered promotions. I’m going to show you where you’re going to set those up, what we usually do with those, how we take them to the next level. I’m also going to talk about BOGO and cross-selling in general. How can we influence that? How can we make that better? How can we take it to the next level? Lastly, I’m going to talk about social media promos. These are the promotions we are going to be talking about that can help influence those multi-unit purchases. Let’s start with tiered promotions. A tiered promotion is a promotion that’s a great way to entice customers to buy more than one item by offering a steeper discount when they buy more than one. My team and I have gone ahead and put together an example for you. This is how it would go. Everyone is different, so maybe 5% is too small for you or maybe 15% is too big. That’s fine. These are for example purposes: buy one, save 5%, buy two, save 10% or buy three, save 15%. The idea is that every single time the customer adds one more to their cart, they’re going to be saving a bigger discount. This can help influence them to buy more from you. That’s something that you should always be striving for. This is something that helps you build that raving fan. How you get people to continue to purchase from you is offering deals like this. Get them to try your product. Where have we seen this most successful? How do we usually use it? Let’s go ahead and start right there. When it comes to tiered promotions, we’d like to do them with products that are repeat purchases. An example would be coffees, supplements, any food items, anything like that. We like to do these. The reason why it is very common for people to buy two boxes of coffee or two bottles of Krill oil. It’s common. We like to influence it this way. We try to get people to purchase more from you to help boost sales and get those growth strategies up there. In terms of how do you push it, how do you bring it to the next level? 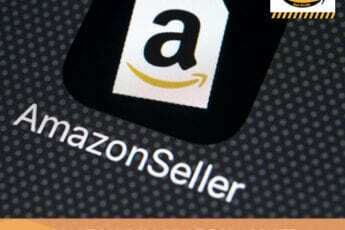 As sellers on Amazon, we know where the promotions are. They are at the bottom of the page. It’s not great placement by Amazon, but that’s where they’ve decided that they’re going to put them. They’re right above the reviews in that area. It’s not the greatest place. The one thing we do to take those tiered promotions to the next level is we’ll create a basic infographic, nothing too crazy. I’m sure it’s something that the majority of you guys can do. The infographic will say, “Buy one, save 5%. Buy two, save 10%. Buy three, save 15%. Enter this promo code at checkout.” It’s right there. There’s no excuse. They can see it. They’re able to basically make the decision right there. It’s very popular. We’re doing it with all of our clients featuring those different promotions and the infographics in the image box. I’m also seeing it a lot as a seller on Amazon. I’m doing quite a bit of shopping on Amazon. It’s pretty consistent I would say with a lot of people featuring this in the image box. It gains you that extra visibility. I 100% would recommend doing it. If you’re not sold that it will help push it, we always talk about split testing. If you want to run the tiered promotion one week with the image block image and then one week without the image block image and see which one works the best for you. Truthfully, this is worth a shot. One thing I will always say is every single product, every single category, different things are going to work and different things aren’t going to work. We work with a wide range of clients selling a bunch of different categories, different niches, everything like that. Everyone’s incredibly different and not one thing is going to work for everybody. 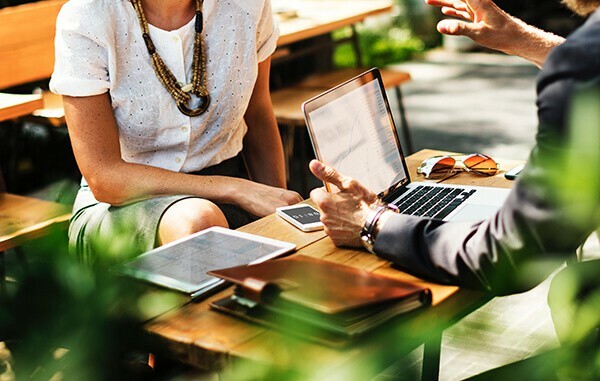 Try out the tiered promotions, see if they work for you, see if they get people purchasing more units from you in one transaction, and see if that increases your sales. It’s definitely worth the shot. We’ve seen a lot of success with it. It’s easy to set up. Where are you going to set that up? What you’re going to do is you’re going to go to your regular promotions underneath advertising there in Seller Central. You’re going to go ahead and click on Percentage Off. What it’s going to do is it’s going to show you step one conditions. You’ll go ahead and fill out the top sections. All you’ll have to do is click Advanced Options and right underneath that it will say Buyer Purchases. What you’ll do is you’ll build your first tier. We usually do one, but you can do different ones if you want. At least one item purchased and get this percentage off. Amazon Promotions: Everyone’s incredibly different, and not one thing is going to work for everybody. Let’s say you want to add another tier, second tier, you press Add Tier, it’ll give you this option, the same exact field again. You put buy two get this percentage off and so on. What’s cool also is you can create different product selection. You don’t want to include your brand-new product. You feel like it’s going to sell on its own. You don’t need to be doing things like this. That’s fine. You can go ahead and create a new product selection. Go ahead and get rid of that. This is where you guys do it. It’s going to be promotions, percentage off. It’s super easy for me. What we always say is every single time you create a promotion, check it. I don’t trust that Amazon is going to automatically do everything. Sometimes there are errors in their systems. Every single time our team makes the promotion, we add three items to the cart and see if we do get 15% off. You’re double-checking Amazon. Make sure everything is set up because you don’t want to get feedback from customers saying their promotion didn’t work when that’s not on you or maybe you didn’t set it up right. It’s making sure that you’re testing Amazon, making sure that it’s all working. Let’s go ahead and talk BOGO and cross-selling. This is my favorite part about selling on Amazon. I love doing BOGOs. I love cross-selling. I love getting people to purchase multiple things from a single brand. It’s incredible. That’s how you build your repeat customers. Essentially what we’re trying to do with a buy one, get one promotion is we’re trying to entice customers to buy one product and get a certain percentage off in others. We feel that the products that work best with this promotion are products that aren’t necessarily repeat. One example I like to use, you are a yoga company and you’re selling yoga products. What you can be doing is, “Bbuy one yoga mat, get 15% off our yoga block.” You’re getting the purchase of the yoga mat full price, but then you’re also influencing them to purchase your yoga block, which maybe they would not have even known about if you didn’t have this promotion running. It’s a different way to get fans. If you get them purchasing more from you, they’re going to fall in love with you. That’s the plan. They’re going to follow you on Instagram. They’re going to follow you on Facebook. They’re going to be a huge fan. They’re going to tell all their friends. They’re all going to buy your products. That’s the end goal. This is a cool way to do it. We liked doing it. Another great way to talk about it is maybe they didn’t know about that yoga block. Maybe they didn’t plan on buying a yoga block, but since it comes with a percentage off because you bought the mat, I’m going to do it, why not? I’m not going to get that 15% off another time. I’m going to do it. It also gains visibility for those products that maybe they didn’t even know they were looking for. One other cool thing about the buy one, get one promotion is you are able to influence that Frequently Bought Together badge. That is on the majority of Amazon listing. Where you usually see Frequently Bought Together is below the listing. What’s cool about Frequently Bought Together is it will do this little quick thing where they feature the two products. What’s cool is a customer is able to easily press Add Both to Cart. That way there’s no question. It’s super simple. You don’t have to go to two listings. What’s awesome is if you create this buy one, get one promotion and if you’re able to influence enough people to purchase those two products back together over and over again, you’re able to get this Frequently Bought Together Badge, which is cool. There’s no magic number. How many buy-one-get-one do I need? Unfortunately, there’s no way to see that. You have to keep running it. The plan is you’ll eventually get Frequently Bought Together. What’s cool about Frequently Bought Together is it’s easy to Add Both to Cart, but also you’re getting visibility on another product that’s not on that listing. Another great place to feature different products, get them to Add Both to Cart. Another thing to consider is if you’re not doing things to try to fill this spot, a competitor is going to fill that spot. Amazon is going to create this Frequently Bought Together. It’s up to you to see if you can try to get all of your products on Frequently Bought Together. If you guys think about it, if a competitor is featured there and it’s your product and their product, in a way you’re giving them free advertising. You’re giving them a free place to be seen and also probably purchases. If they’re pressing both add to cart and it’s your product and their product, they’re buying your product obviously, which is great. They’re also buying your competitor’s when they could have potentially bought your product and that other product that’s yours. Try to get this. There are no guarantees when it comes to Amazon. We’ve seen running these buy one, get ones can get you here. You have to keep pushing it, keep trying it, and seeing if it will stick. In terms of if you should keep running that buy one, get one once you get Frequently Bought Together, I would often on. You don’t have to run it forever. This isn’t something that has to be there forever or else you’ll use loose Frequently Bought Together because the idea is Frequently Bought Together should replace your buy one, get one with no percentage off. I would run it every once in a while, to make sure you’re maintaining that people are buying those two products together. Where do you create a buy one, get one promotion? It’s pretty simple again. You’ll go to advertising, promotions, and then there’s a buy one, get one option. They’re incredibly simple to put together. I highly recommend it. I would feature them in the image blocks, see if that helps with visibility. Another tip, something that my team and I were discussing when we talk about cross-selling is to make sure you’re including additional products that you offer in your enhanced brand content. In enhanced brand content, they’ve been making updates. Amazon is doing a great job making that something that sellers can personalize and put their stamp on with it, which is cool. One thing I definitely want you to be thinking about is that new block where basically you can list out your different products there and feature them on your other listings. That way people know about it. They’re able to see it. They’re able to click on it, get to that listing and potentially purchase the product. I highly recommend buy one, get one and trying to cross-sell with that. Amazon Promotions: Try your best to get involved with influencers. They can make a difference in your business. The last promotion I want to talk about is the social media promo code promotion. It’s pairing up with Amazon influencers. I don’t know about you guys. Amazon influencers follow me all around the internet. I get Instagram ads and Facebook ads for them all the time. They’re pushing people to join this program, which is from my understanding a little different than the affiliate program. Essentially what social media promos allow you to do is build a landing page with a custom promotional code that is only visible on the landing page. It’s not going to be on your product detail page. It’s only for these people that you have sent this landing page to. I’m not sure how comfortable you are with building landing pages. It’s not my strong suit. We have a few people on our team that are all-stars at it. I let them do their all-star things with landing pages. What’s cool is Amazon is going to build this landing page for you. You don’t have to stress about creating a ClickFunnels account and putting things together. Amazon is going to do this for you. It’s convenient because as opposed to a regular promo code or a coupon clipping, this promotion is added directly to the customer’s part. They don’t have to clip a coupon clipping. They don’t have to copy and paste a promo code. It’s simple. It’s right there. They already have it. With this promotion, it’s like any other promotion, you’re able to control how many they can buy and what the percentage off is. You have full control over it. You can shut it down at any time. It’s pretty awesome though. Just you know, from our understanding, sellers do have to be brand registered to take advantage of social media promo codes. We always say get brand registered. This is another, “Get brand registered,” moment. What’s cool about this is it takes them to the landing page. It’s not going to take them to your listing and make it so your conversion rate hurts. This is a great way around that. If that is something you’re nervous about or something you’ve been hesitant to include, it’s something to keep in mind. These are social media promo codes. It’s pretty simple to make. You go to advertising promotions and this is one of the options there. Some final tips from Turnkey, get involved with influencers. I know it sounds intimidating. For some people, it’s not on their radar and that’s okay, but try your best to get involved with influencers. They can make a difference in your business, especially pairing up these promotions with them. It can make a difference. A different growth strategy I wanted to remind you about is getting involved with those influencers. Start stacking those tiered promotions. Start trying out different things. 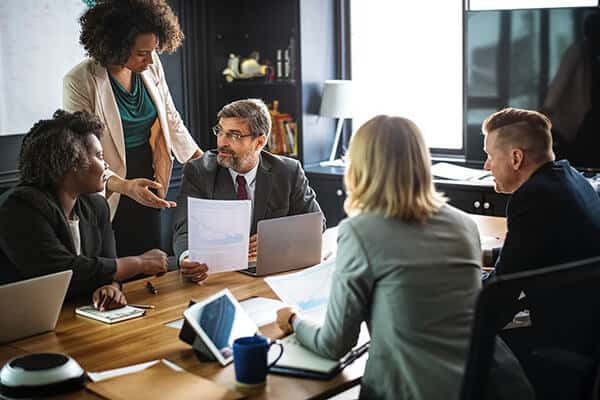 “Should I do buy two, get 20%, buy three get 30%?” Try out different things and see if that helps influence your sales. I also want to remind you to cross-sell, show your different products in the image blocks. Show them in the enhanced brand content and run promotions that help influence that cross-selling. Lastly, it’s not something I talked about in the promotion, but it does factor in when we’re talking about trying to get people to buy from you more than once. Make sure your products are enrolled in Subscribe and Save. It’s a pretty simple process. If you guys need help with it, reach out to my team and I and we’ll give you a hand. It’s simple though. Just enroll your product in Subscribe and Save. If your product is eligible, Amazon will say you’re good to go and it’s easy from there. Other than that, that’s all I have for you with these promotion and final tips. Tune in to Jenna Lieber next Office Hours. 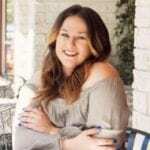 Connect with and find out more about Jenna Lieber in our Experts Directory.